This new travel brush is available in size 10 in flat, round or filbert. 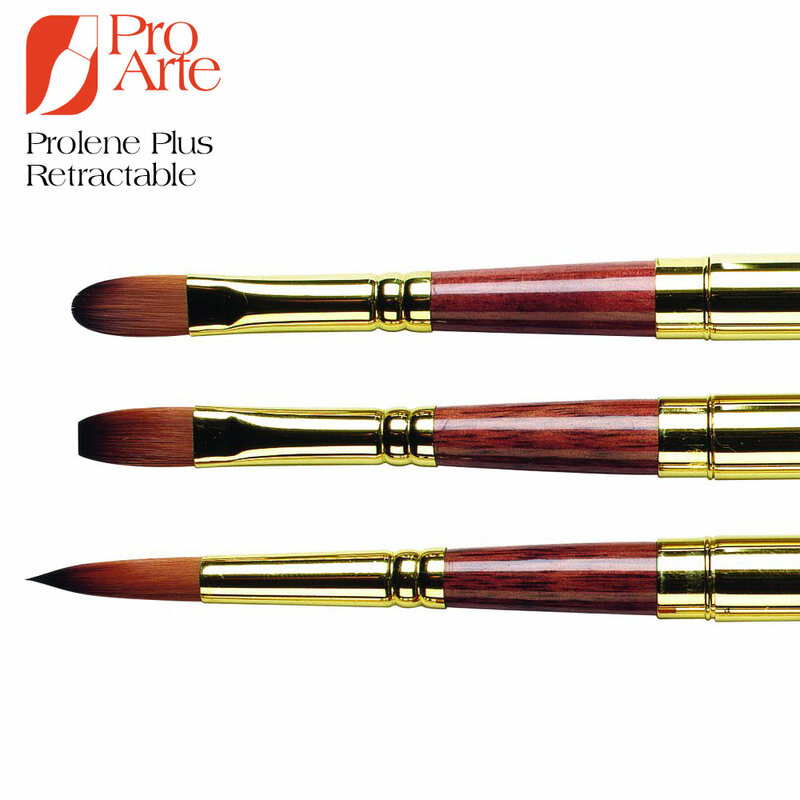 These brushes are ideal for taking on painting trips, and when retracted are about the size of a cigar case, about 5" long. 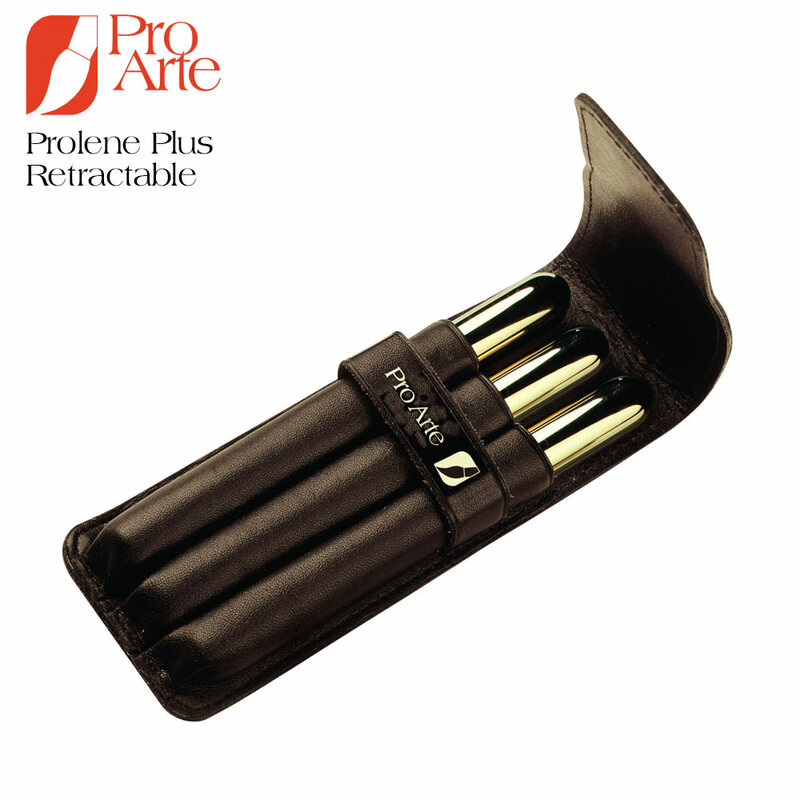 You can also buy all 3 brushes in a set, presented in an attractive leather carry case. 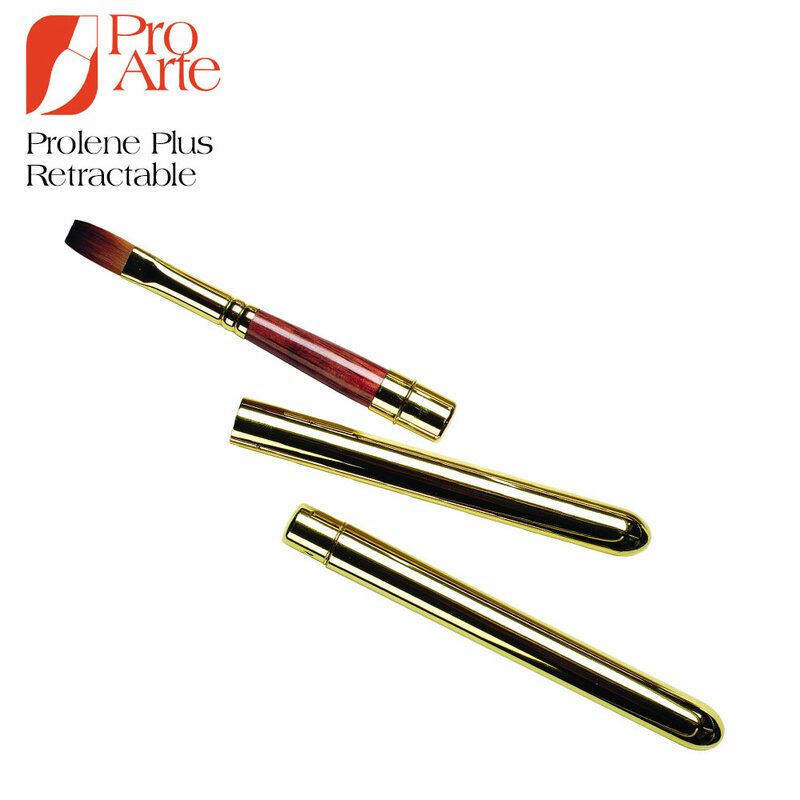 A round Prolene Travel Brush is what I call my 90% brush. 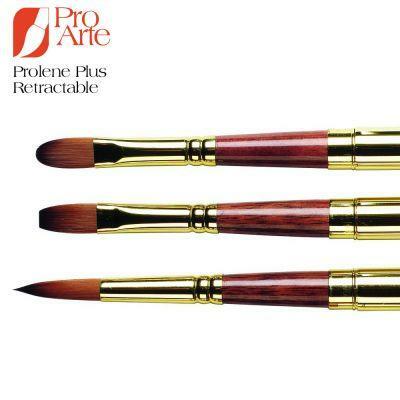 90% of my studio and plein air watercolours are done with this brush as it hold a lot of paint and has a super point. I use dried up tube paints in my palette and find the brushes hard wearing and they retain their fine point for around one year after which they are relegated for use as a wash brushes.